The star of The Florida Aquarium’s newest exhibit, Heart of the Sea, is a juvenile male loggerhead sea turtle that was unable to return to the wild due to an injury. Since he was rescued from the frigid waters off the northeast coast the United States, he has been called Loggerhead Sea Turtle #263. Now that he is settled into his home at The Florida Aquarium, the Aquarium is teaming up with Florida Blue to ask Floridians to help select his name. Floridians can visit www.flaquarium.org/choosemyname to view photos of the loggerhead sea turtle and vote for the name they think best fits him. All the names were contributed by Hillsborough County elementary school classes and then narrowed down by Aquarium staff. The class who suggested the winning name will win a field trip to The Florida Aquarium to meet the loggerhead sea turtle in person. The sea turtle, which was ‘cold stunned’ and unable to swim when he was rescued, recovered thanks to The Florida Aquarium’s Animal Response Team. Last year, Florida Blue announced a $250,000 grant to support the Animal Response Team’s work focused on protecting and restoring endangered marine life to create a healthier, natural environment and healthy planet. Floridians may vote once per day. And, as an extra bonus, each day The Florida Aquarium will give away a family four pack of tickets to a random winner who voted that day. 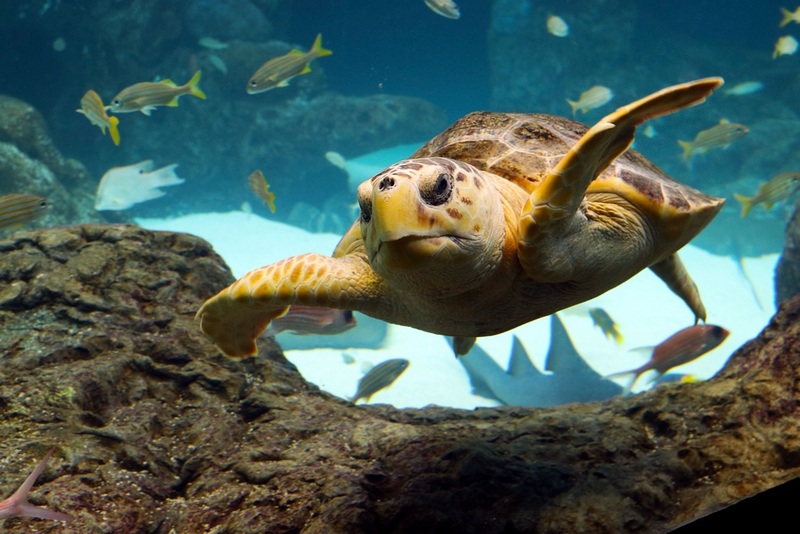 Voting will end on March 31, 2019, and the loggerhead sea turtle’s forever name will be announced the following week.